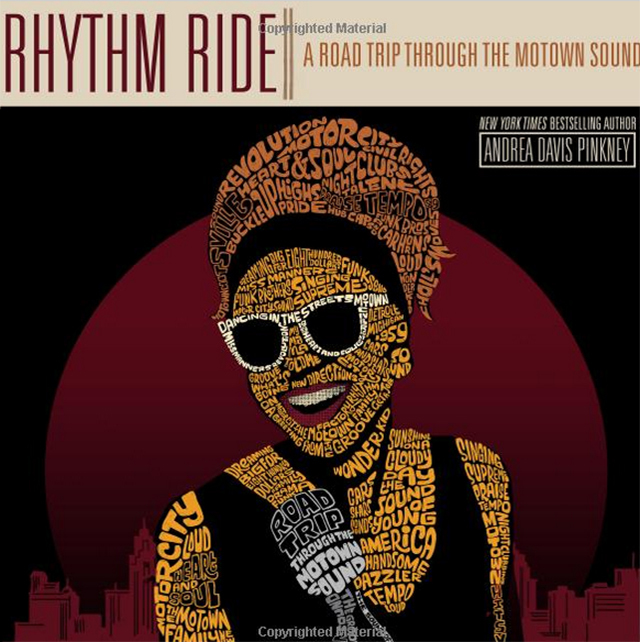 RETRO KIMMER'S BLOG: ★NEW BOOK★ RHYTHM RIDE: A ROAD TRIP THROUGH THE MOTOWN SOUND! ★NEW BOOK★ RHYTHM RIDE: A ROAD TRIP THROUGH THE MOTOWN SOUND! I am getting this book very soon and cannot wait to review it! Right up my alley.. Thanks so much Andrea and Brittany! From critically-acclaimed author Andrea Davis Pinkney comes the story of the music that changed the world. Rhythm Ride is the story of the music that defined a generation and a movement that changed the world. Andrea Davis Pinkney has faithfully captured the celebration, controversy, and ultimate success that encapsulated this pivotal era in our country’s musical history. With untold behind-the-scene stories and awe-inspiring photos that have never been published before, RHYTHM RIDE is a treat for the eyes, the ears, and the soul. Andrea Davis Pinkney is a New York Times bestselling author of more than 20 books for children, many of them illustrated by her husband Brian Pinkney. She lives with her family in Brooklyn, New York.